HUDSON — In the seven years since the state increased a tax break to Intel almost tenfold, to as much as $300 million, the computer chip giant has cut more than 600 jobs at its facilities in Hudson and now plans to eliminate another 700 when it closes a factory in town next year. Officials with the Patrick administration said they are reviewing whether to end Intel’s tax break early because of the pending plant closing. However, it does not appear the state can force Intel to repay any of the tax benefits it claimed during the period it was cutting jobs, as the state law that authorized the deal at the time did not provide for so-called clawback provisions, except in cases of fraud. As of last year, Intel had claimed some $82 million in tax benefits from a package that dates back to 1999, and was expanded in 2006 to be worth as much as $300 million over 20 years, depending on how much the company spent upgrading the Hudson factory. Intel said it has spent some $4.7 billion on the factory and a research and development facility in the town. Even so, the factory remains stocked with outdated equipment that cannot produce the high-end chips used in smartphones, tablets, and laptops. The world’s leading maker of computer chips is closing its only factory in Mass., in one of the largest job cuts to hit the state in recent years. A new chip factory can easily cost several billion dollars, but Intel said there is not enough land nearby to build one, so it decided to close the Hudson factory at the end of 2014. Intel said it will first try to soften the blow by searching for another technology company that would buy the Hudson plant and operate it as a chip factory. The Intel R&D facility, which employs 850, will not be affected by the cutbacks. The sudden announcement has many in this small community in the outer western suburbs reeling. “It’s terrible,” Al Pizzimento, co-owner with his son Nick of the Horseshoe Pub off Main Street, where Intel workers gather regularly for food and drink. From business owners on Main Street, to families of Intel workers, there are few people in this town who will not feel the loss of the plant closing. Joseph Durant, chairman of Hudson’s Board of Selectmen, estimated Intel paid about $1 million annually in taxes, helping Hudson finance road improvements, schools, and other expenses. Durant said municipal officials will try to quantify the effect the plant closing will have on town finances, and expects the answer will be unsettling. Hudson has been through this before, seeing waves of industry come and go as far back as the Civil War, when it was a shoe manufacturing hub and more recently, in the 1970s, when the now-defunct Digital Equipment Corp. helped turn the area into a high-tech enclave. Digital built the chip factory, which sits atop a hill on Technology Drive, back in 1994 and then sold it to Intel a few years later before going out of business itself. Typically Intel’s chip plants are identical, so that each can produce any chip in the company’s inventory. But the Hudson plant was only equipped with the older technology that makes chips for lower-end applications, such as automotive entertainment and factory automation systems. Nonetheless, working at a chip plant is a plum job in the manufacturing sector; in 2006, Intel estimated the average worker in Hudson earned $86,000 a year. These and other high-tech employment opportunities in the region have helped Hudson prosper. Unlike in some other struggling former mill towns in Central Massachusetts, new restaurants, shops, and financial firms have sprouted in downtown over the past 20 years. A small town of 18,000, with scenic charm — the Assabet River runs through downtown — traffic backups were a welcome headache. Dave Dodge, a 36-year-old school therapist, said while his hometown has “gotten classier” in the past 20 years, Hudson has the spirit of a gritty mill town that can survive a corporate downsizing. But he’s concerned for the Intel workers facing the loss of their jobs, many of whom he believes are older and have children, and will find it difficult to get new work. “That’s a lot of anguish that they have to deal with,” Dodge said. And some in Hudson question whether Intel will be able to find a buyer for the plant, especially since the company concedes the equipment inside is outdated. Intel originally received a smaller tax package from the state in 1999 worth some $35 million, in exchange for adding 450 jobs and investing $700 million in Hudson facilities. The town itself gave Intel property tax breaks worth tens of thousands of dollars over the life of the deal. By 2006, the chip maker had gone well past its target for receiving the tax break: creating more than 1,000 new jobs, and retaining a similar number of existing positions. By then it had also invested $2 billion in the chip factory. So that year Massachusetts and Hudson agreed to significantly sweeten the tax deal. Intel said that it would continue to upgrade the plant — raising the total investment over time to as much as $6 billion to modernize it. In exchange it would receive tax credits worth 5 percent of its investment, or up to $300 million. Despite the sweetened deal, Intel began shrinking its head count in Hudson. The company has since reduced employment to about 1,545 jobs in the Central Massachusetts town, down from 2,200 in 2006. 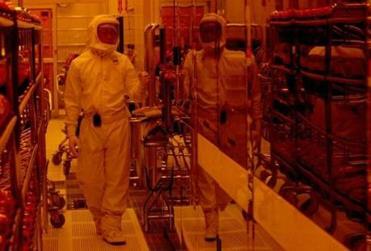 The pending plant closing would cut Intel’s current employment in Hudson nearly in half. But for now, Hudson and the company noted that Intel has so far more than met its original commitment for the tax deal. “They have exceeded our promises to us and our expectations,” said Michelle Ciccolo, Hudson’s director of community development. Todd Wallack can be reached at Todd.Wallack@globe.com. Follow him on Twitter @twallack. Megan Woolhouse can be reached at Megan.woolwhouse@globe.com Follow her @megwoolhouse.